We know all sand is not alike. When you need mason sand for your Collingwood project, you can be sure that is what we will deliver. Getting the best result for a brick and mortar project means having the best materials to work with. When you count on us at Flesherton Concrete Products for your mason sand, you won’t be disappointed. Our 30+ years of providing quality mason sand and other products for projects in the Collingwood, Ontario area have earned our family-owned company a stellar reputation. You can trust us for expert customer care, competitive prices, and timely deliveries that will make your job as a mason that much easier. While others may have one grade of sand, we understand that each project can require a specific result. That is why we offer mason sand, playground sand, and filter sand options. We recognize that using the wrong type of sand can have disastrous results, so when you order a specific type of mason sand, you can be sure that is exactly what we will deliver. We serve both private and public clients who require mason sand for brick and mortar work. Whether you have a small project at your home or are a company doing a large industrial, commercial, or communal sector project, you can count on our mason sand to be delivered at the time you need it. 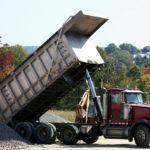 We have the equipment needed to make even the largest mason sand deliveries, so your project will never be delayed waiting for a shipment to arrive. We pride ourselves on quality products and stellar customer service, so you will always be confident calling us for all your aggregate needs. If you have any questions about mason sand or any of our products, don’t hesitate to call. At Flesherton Concrete Products, we offer mason sand to customers in Collingwood, Wasaga Beach, Flesherton, Orangeville, Owen Sound, Barrie, Stayner, Mulmur, Shelburne, and Mount Forest, Ontario.